A comprehensive, deeply personal, and visually stunning guide to growing and cooking vegetables from Britain’s foremost food writer, with more than 400 recipes and extensive gardening notes. In the tradition of Roast Chicken and Other Stories comes Tender, a passionate guide to savoring the best the garden has to offer. 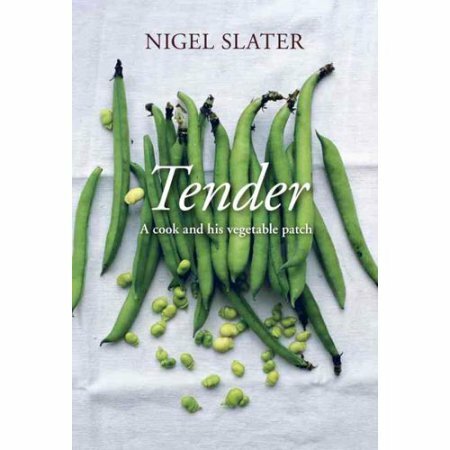 An instant classic when it was first published in the UK, Tender is a cookbook, a primer on produce, and above all, a beloved author’s homage to his favorite vegetables. Slater’s inspired and inspiring writing makes this a book to sit with and savor as much as one to prop open in the kitchen. The chapters explore 29 vegetables and offer enticing, comforting recipes such as Potato Cakes with Chard and Taleggio, a Tart of asparagus and Tarragon, and Grilled Lamb with Eggplant and Za’atar. With wit, enthusiasm, and a charming lack of pretension, Slater champions vegetables—through hands-on nurturing in the garden and straightforward preparations in the kitchen—with this truly essential book for every kitchen library.